Who said finding somewhere great to stay was hard work ? One of the longest running sites for accommodation and other info is Rusty's Byron Bay Guide - Rusty offers a handy down-loadable PDF version of his guide which you can print off, or you can pick one up while you are here. They're normally available all around town - just keep an eye out. 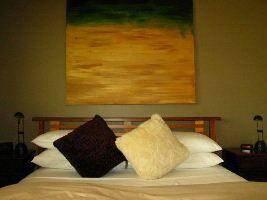 stayz.com - A good place for accommodation Australia wide. You can check availability and book on-line. This is just a small selection of websites advertising house rentals byron bay accommodation and more. We have listed them in no particular order and recommend none over another, it will probably boil down to your own personal taste. You will find a lot of the accommodation and local businesses advertise on more than one site.